Will You Get Nanobot Infusions? "You enter the wellness center and tell the receptionist avatar that you're here for an annual restoration, and though your real age is 110, you would like to be restored to the age of a 20-something. A nurse then injects billions of genome-specific 'bots non-invasively through the skin; you're now set for another year." 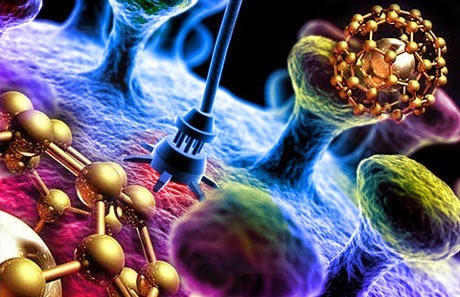 The above scenario may sound like something out of a sci-fi tale, but experts predict nanorobotics will one day turn this fantasy into reality. Nanotech pioneer Robert Freitas believes that as the technology matures, every adult's appearance could be restored once a year to a biological age chosen by the individual. Freitas and futurist Ray Kurzweil discuss this wonder-science in a recent interview. Freitas has designed 'bots smaller than red blood cells that can travel through the human body destroying harmful pathogens and repairing faulty DNA. The tiny machines would be constructed of carbon atoms, and powered by utilizing glucose or natural sugars and oxygen from the body.